WWF-Cambodia in collaboration with Forest and Livelihood Organisation (FLO), and Community Capacities for Development (CCD) an ambitious five-year, $2.25 million UDS, scale-up programme of terrestrial projects was lunched at the European Union Embassy in Phnom Penh on October 19th, 2017. Funded by the Belgium Government the scale-up programme, through parallel work in support of economic alternatives, engagement with local organizations and authorities, and empowerment of local communities, has the outcome that by the end of 2021 15,000 men and women in local communities residing along the Mekong River in Kratie province will achieve land security - enabling livelihood improvement, sustainable forest management, and biodiversity protection. 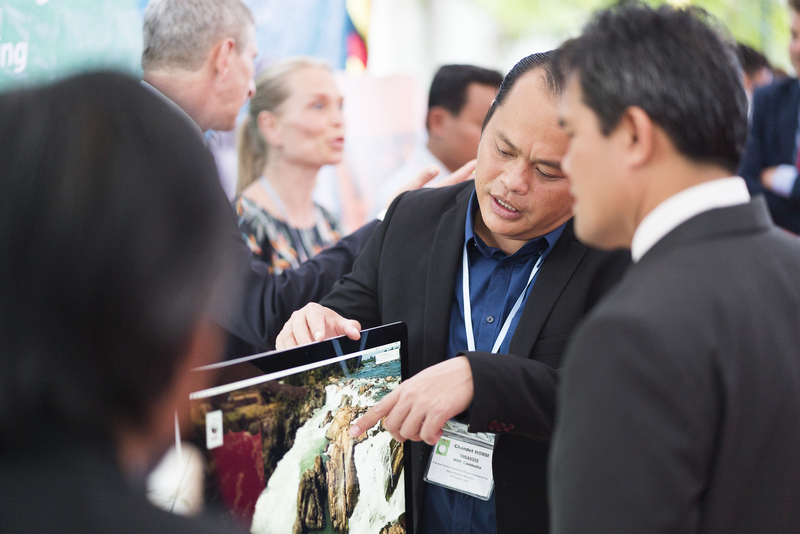 With this funding, the programme aims to alleviate and rectify the damage the Mekong river and surrounding lands have experienced with rapid and unplanned economic development, economic land concessions (ELC), infrastructure programmes (hydroelectric dams), and both legal and illegal logging and mining. These developments have had serious negative impacts on the environment such as declining populations of threatened species, water quality, and fish stocks, and degradation of local community well-being. Additionally, the programme aims to work in conjunction with local authorities to tackle the institutional and administrative barriers faced by communities wanting to establish community forestry’s and that require technical support to achieve legal recognition. This scale-up programme is a response to these impacts and barriers and aims to strengthen local communities so they can structure themselves, know their rights, and gain official recognition. 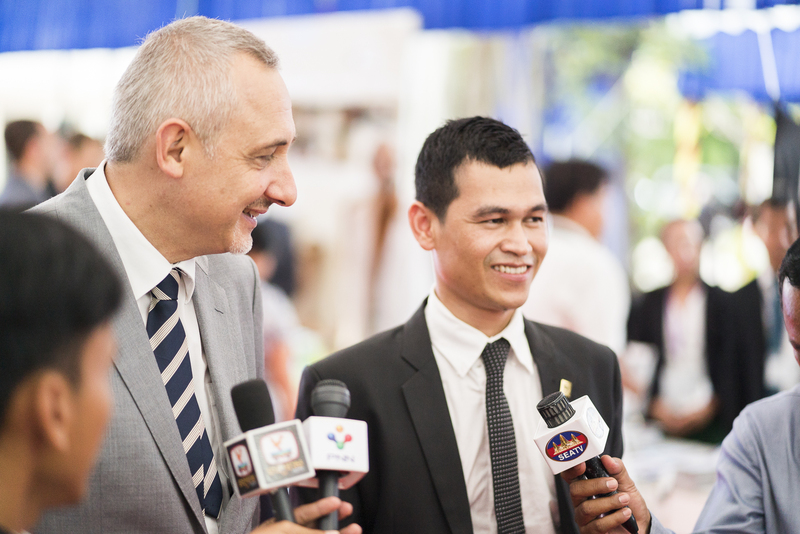 The afternoon and evening event saw the official launch of seven different NGO programmes which the Belgium Government is funding throughout Cambodia. True to Cambodian tradition, classical dancers paid homage to the guests and officially opening the lunching ceremony. Cambodian minister of education, Dr. Hang Chuon Naron, The Belgium Ambassador to Thailand, Philippe Kridelka, European Union head of Delegation for Cambodia, George Edger, and special guest ex Belgium Prime Minister and first president of the European Council, Herman Van Rompuy gave speeches to over 100 people in attendance. The focus of the speeches was on the importance of education for future generations, socio-economic mobility and empowerment, the importance of sustainable programmes delivered by committed and knowledgeable non-government actors, and fostering strong partnerships between Cambodia and Belgium. 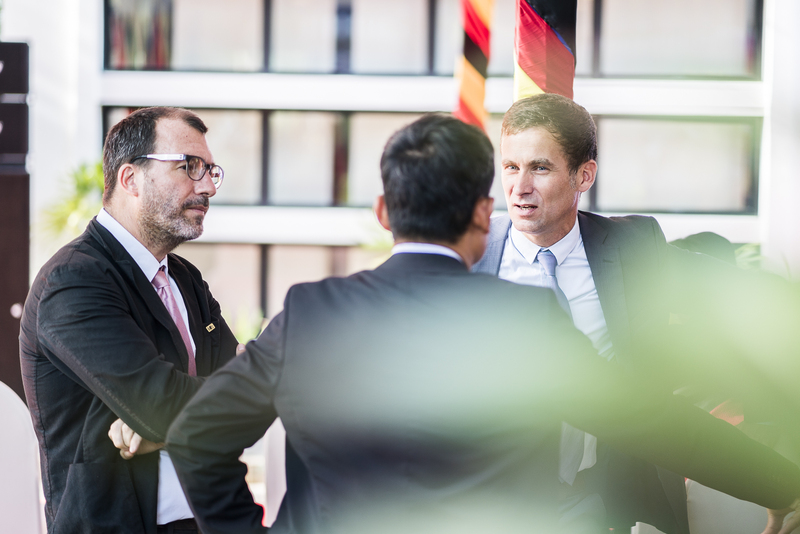 Once the speeches were concluded there was a drinks reception which focused on the collaboration of the two cultures of Belgium and Cambodia. Traditional Belgian food and drink were on offer as well as the chance to network with other NGOs and with WWF-Cambodia at our stall displaying educational and informative materials on the programmes which will be scaled-up as a direct result of funding by the Belgium Government. Chakrey Un at an interview.